Interested in digitally printing and decorating serial plates and parts? Read below for information on our digital dial and manufactured part printers. If you are tasked with printing industrial labeling, dial faces, equipment serial plates and signage, DCS's small-format Direct Jet inkjet printers are up to the task. Our industrial label printer systems allow you to print full-color, photo-quality images, logos and text directly onto rigid substrates such as PVC, acrylics, metals, and wood. 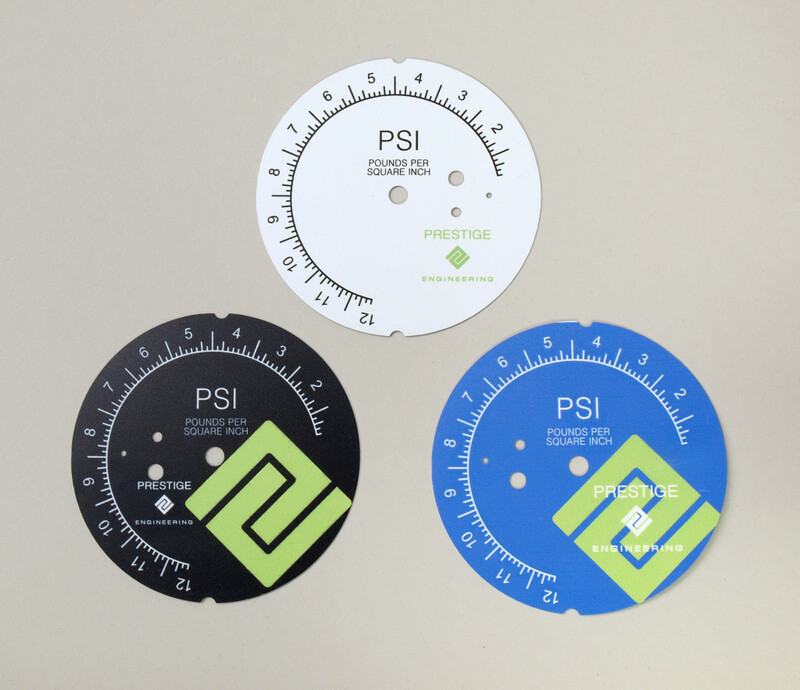 Our industrial label printers allow you to create your own custom labels for any application. DCS also offers a proprietary line of InkMark™ coated substrates, which are optimized to simultaneously accept DCS's Multisolve™ dye and clear inks in a single pass. The resulting bond creates a more durable image with greater resistance to many perfumes and solvents, including 100% isopropyl alcohol. 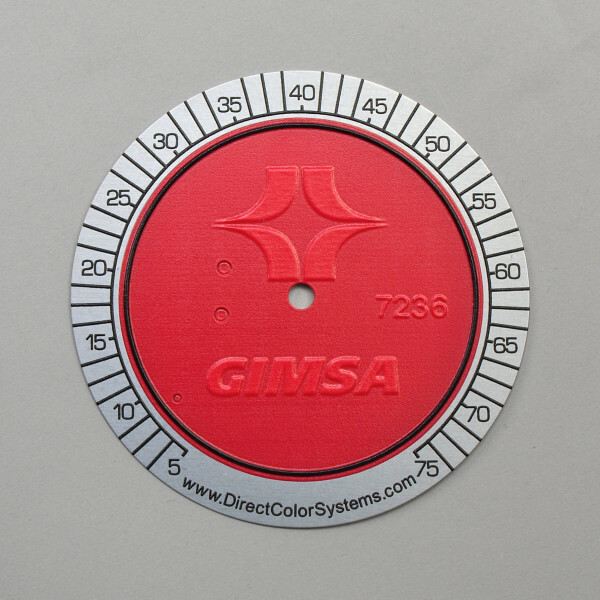 The combination makes an ideal substrate for printing dial faces, industrial labels and serial plates. It's ideal for printing everything from interior signage to desk plates, door plates, machine tags and labels.